PVC cement (glue) and primer is used to soften pipes and weld pieces of plumbing together. Polyvinyl chloride secures pieces of pipe quickly in a process called solvent welding. First the primer is applied and then the cement to join the pipes. Although the glue dries quickly and forms a strong bond, it can be hazardous to your health if it comes in contact with skin or is inhaled. PVC glue or cement can and will cause damage to your lungs if inhaled too often. When using this glue, do not directly inhale. Ways to help keep PVC glue away from your face include wearing a mask when dealing with this material. One can also keep cans and containers in a specific location labeled to remind the one using it that it is not to be taken lightly. Another danger that PVC glue has a reputation of is eye contact. According to ”eHow, the Hazards of PVC glue and Primer,” if this material comes in contact with your eyes it can cause burning, stinging, severe watering and inflamed conjunctiva (http://www.ehow.com/list_7635699_hazards-pvc-glue-primer.html). To prevent eye contact with this glue or cement, wear eye goggles when working with PVC materials to avoid injury to the eyes. If somehow you have contact with the glue, rinse your eyes for five minutes (or longer, if necessary) with a constant stream of water. According to OSHA.gov, a company must have an eye wash station for situations such as this. Providing a wash station will ensure the best possible treatment for any PVC glue contact. When a wash station is not available, like at a job site, use bottles of water continuously for at least five minutes. (https://www.osha.gov/pls/oshaweb/owadisp.show_document?p_table=INTERPRETATIONS&p_id=24886 ). Learning how to safely use PVC glue or cement is key to a safe installation and work environment. https://www.youtube.com/watch?v=QQF_XDISuSw is a link to a video that shows how to properly use PVC glue. 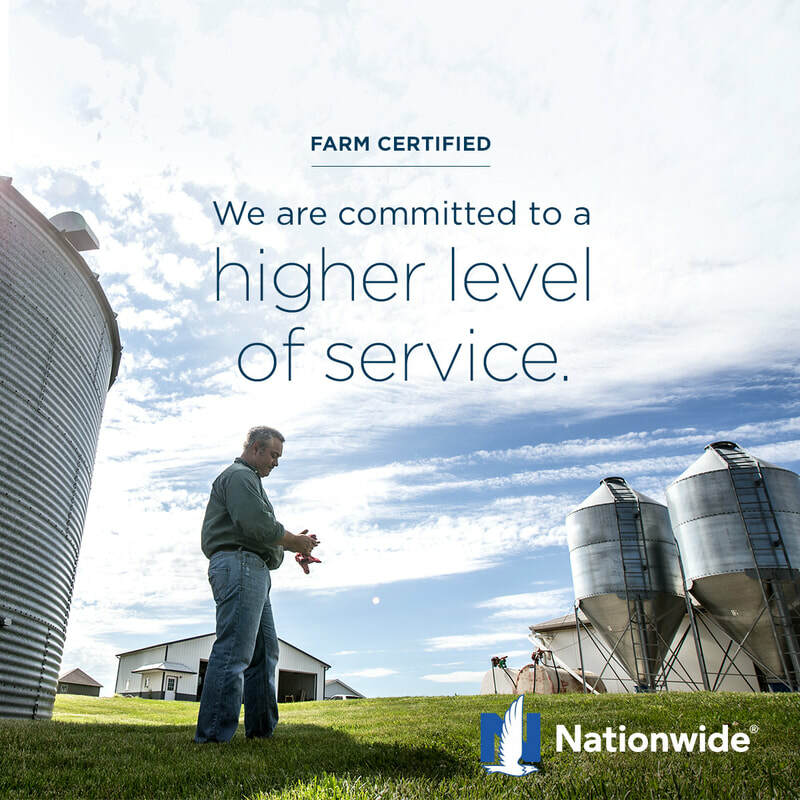 Agri-City Insurance is Farm Certified and we are committed to protecting the farmers and ranchers in our communities. You can count on us for all of your agricultural insurance needs both now and in the future. Whether you're hosting a Super Bowl party for 50 or greeting the New Year with a few friends, if you're planning to serve alcohol at your home take steps to limit your liquor liability and make sure you have the proper insurance. Social host liability is the legal term for the criminal and civil responsibility of a person who furnishes liquor to a guest. Social host liability can have serious consequences for party throwers. Also known as “Dram Shop Liability,” social host liability laws vary widely from state to state, but 43 states have them on the books. Most of these laws also offer an injured person, such as the victim of a drunk driver, a method to sue the person who served the alcohol. There are circumstances under these laws where criminal charges may also apply. While a social host is not liable for injuries sustained by a drunken guest (as the guest is also negligent), the host can be held liable for harm to third parties, and even for passengers of the guest who have been injured in their car. Homeowners insurance usually provides some liquor liability coverage, but limits are typically $100,000 to $300,000, which, depending on your assets, might not be enough. Before planning a party in your home, speak to your insurance professional to review your homeowners coverage for any exclusions, conditions or limitations your policy might have that would affect your social liability risk. Make sure you understand your state laws. These laws vary widely from state to state (see final chart). Some states do not impose any liability on social hosts. Others limit liability to injuries that occur on the host’s premises. Some extend the host’s liability to injuries that occur anywhere a guest who has consumed alcohol goes. Many states have laws that pertain specifically to furnishing alcohol to minors. Limit your own alcohol intake as a responsible host/hostess, so that you will be better able to judge your guests’ sobriety. It’s that time of year again and winter is knocking at our door. It is important to remember to bundle up if you plan on working out in the cold this winter. As an employer it is also a good idea on very cold days to schedule periodic times to come inside and warm up if possible. Cold weather is no joke and should not be taken lightly. People have lost toes and fingers due to working in in the cold for long. Hypothermia occurs when the core temperature of your body falls below the normal level. If your body becomes too cold, your organs stop functioning properly. If left unrecognized in the early stages, hypothermia can eventually result in death. Symptoms of hypothermia include shivering, chattering teeth, confusion, slurred speech, lack of coordination and eventually unconsciousness. Frostbite is when your flesh actually freezes. It can occur even without the symptoms of hypothermia. Your extremities, such as your ears, feet, fingers and cheeks, are prone to frostbite in extremely cold weather. Symptoms of frostbite are quite different from hypothermia. The exposed skin will first appear reddish, and then a greyish-white color. You’ve probably seen on movies where mountain climbers have been rescued and their noses or fingers are jet black. It is because the skin has died. -Get into a warm room as soon as possible. -Unless absolutely necessary, do not walk on frostbitten feet or toes—this increases the damage. -Immerse the affected area in warm—not hot—water (the temperature should be comfortable to the touch for unaffected parts of the body). -Or, warm the affected area using body heat. For example, the heat of an armpit can be used to warm frostbitten fingers. -Do not rub the frostbitten area with snow or massage it at all. This can cause more damage. -Don’t use a heating pad, heat lamp, or the heat of a stove, fireplace, or radiator for warming. Affected areas are numb and can be easily burned. All in All, cold weather is nothing to be taking soft, many people have died and also lost feeling in their extremities from working in cold weather. Remember to pack as many winter clothes the night before, you can always take layers off, but you can put layers on. As an employer as remember to schedule breaks to warm up on extremely cold days. Stay Safe, Stay Warm! Belly dump trailers are used for transporting certain materials from places like sand and gravel pits and asphalt plants to job sites or other sand and gravel pits. These materials are usually sand, gravel, dirt, rock and asphalt. But, you have to be careful when cleaning them. Belly dump trailers have their gates on the underside of the trailer. These gates open to unload the trailer. The gates are controlled by air. There are open and close buttons and an on/off switch in the cab of the semi. There are open and close buttons on the trailer as well. In order for any of these buttons to work, the switch in the cab of a semi needs to be on. and air in the tank needs to be full. Hitchcox, A. 1999, April 1. Air Valve Commands Bottom-dump Trailer. And here is a video showing how to unload asphalt from the back of a belly dump trailer from the outside buttons. YouTube, 2011, June 5. Dumping Asphalt. The trailer needs to be checked for safety issues before use. The doors and the rest of the trailer needs to be greased. The air lines need to be checked for leaks and they need to make sure the connections are good going to the cab so that the air can build in the tanks. Once the air is built, you can turn the switch on in the cab and open the gates to see that they are working properly, assuming that the trailer is empty. With belly dump trailers, there is the possibility that the gates can shut without warning. There can be times when a person is standing inside these gates for spraying, maintenance, or to clean. Before he stands inside these gates, all safety bars have to be in place. He then needs to disconnect the power and release the air. He is now safe to properly enter the inside of the trailer. There have been injuries and fatalities with belly dump gates. There was an OSHA investigated accident in 2008 that resulted in a fatality. This was found in OSHA’s website as a publication dated 12/09/2008. This employee was cleaning dirt on the inside of his trailer when the gates suddenly shut and he was then crushed. This fatality happened due to not following procedures for entering and cleaning the trailer. He did not lock the gates in the open position like he should have. To sum it all up, knowledge of safety procedures of any equipment should be followed. Excavation and trenching are among the most hazardous operations in the construction industry. In fact, cave-ins pose the greatest risk among excavation-related incidents that result in employee fatalities. For this reason, it is important that employers only allow their employees to enter a trench with necessary safe guards in place. Any excavation or trench that is greater than 5 feet deep must use a cave-in protection system. Cave-ins can be prevented with the use of retaining walls. Retaining walls are built to retain or support the lateral or horizontal pressure caused by the soil. Retaining walls can be constructed concrete, steel, or other approved materials. Supporting the sides of the excavation and shielding the work area from the excavation can be done with a simple protective design or a more complex design, depending on the employer’s needs. Even though the employer has some influence on the design of retaining walls, the wall must meet or exceed OSHA specifications. These specifications can vary based on different environmental factors. There are many factors that can influence the protective system design. For example, traffic, soil classification, moisture, weather, overhead and underground utilities, and the proximity and physical condition of nearby structures can all affect the design of a retaining wall. Another important factor in the design process is proper use and installation. The structural members of the support system must be securely fastened to prevent unwanted movement or failure. Beep, beep, beep! Do you recognize that sound? It’s a sound of a forklift on a job site backing up. Many forklifts today are installed with an alarm to alert nearby employees that the forklift is backing up. Too often an employee working in the area will be backed over by the forklift because the operator was unaware of the employee in the danger area, and the employee was unaware of the forklift operator backing up. 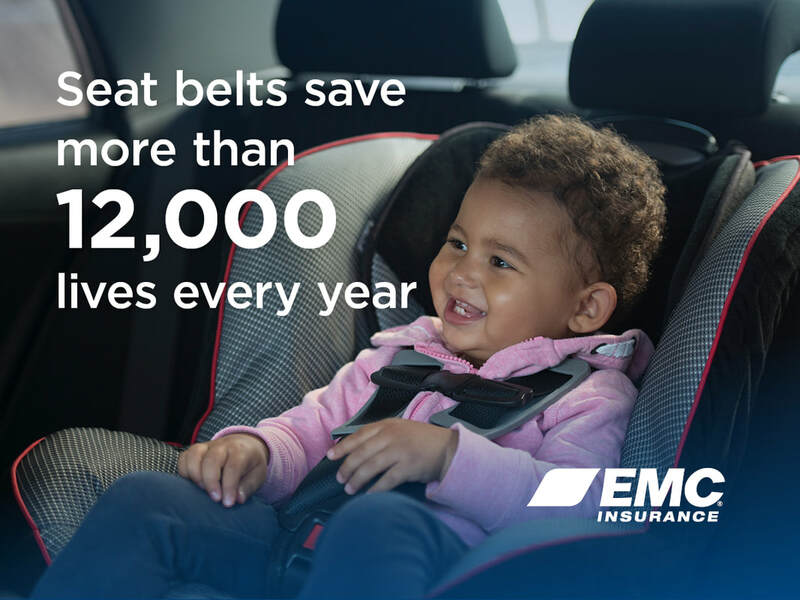 There were 194 fatalities caused by back over vehicle accidents between 2005 and 2010. Alternative methods to alarms are using spotters and workstation isolation for forklifts, but these methods are very costly and inefficient to the company. OSHA does not require forklifts to have a backup alarm system installed in the forklift. Although, OSHA does strongly encourage the use of a backup alarm on forklifts, and many manufacturers have been installing backup alarms in more of their forklift products. Alarm systems have been proven to prevent back over accidents, but there is still controversy on the subject. Some manufacturers and companies believe that backup alarms on forklifts do not make them safer. They claim that excessive noise exposure to the backup alarms cause the operator annoyance, fatigue, and hearing loss. The operator starts to assume employees clear the area of travel when the alarm goes off instead of looking in the direction of travel. The employees working in the same area with the forklifts become used to the alarm and start ignoring the sound putting them at risk. OSHA regulations for general industry under electric power generation, transmission, and distribution 29 CFR 1910.269(p)(1)(ii) says that a motor vehicles or earthmoving or compacting equipment with an obstructed rear view must have a reverse signal alarm audible above the surrounding noise level, or the vehicle should have a spotter to safely signal the vehicle to move backwards. Other, OSHA standards do not specifically require powered industrial trucks, for example a forklift, to have backup alarm systems installed for when the vehicle is moving backwards. Although, in OSHA standards for the maritime industry 29 CFR 1917.43(c)(5) and 29 CFR 1917.65(f)(1) it says that removing the manufacturer’s safety devices from industrial vehicle is prohibited. These safety devices would include back alarms. There is a lot of research being done on backup alarms. Most of the research focuses on the sound level of the backup alarm. Research has been done to measure the sound level needed in different situations. Each job site is different and creates a different level of sound. The backup alarm needs to be heard by employees around the forklift but does not necessarily need to be heard by everyone on the job site. The alarm must be about 10dBA higher than the ambient sound level around the forklift at the job site. They also focus on the direction the sound moves. The sound waves only need to move in the direction the forklift is going to move. Manufacturers have been researching technology to allow the sound level of the backup alarms to be self-adjusting. The alarm will be able to sense the ambient noise in the area and adjust the volume of the alarm according to the noise level of the area. There has also been research into a backup alarm system that only goes off if there is an employee nearby. It will be able to sense if someone is in the danger the zone. Skid steer loaders can be dangerous if you do not observe certain safety precautions. 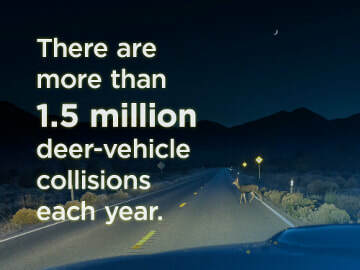 Injuries and death are preventable. The most commonly reported causes of serious injury and death using skid steer loaders are: crushed by moving parts and rollover accidents. Never leave the operator’s station when the engine is running or the lift arms are raised. When operated improperly, skid steer loaders can overturn, especially handling heavy loads or operating on uneven ground. Safe work habits are important. Here are three actions you can take to be safe on the job site. 1. Learn all you can. To prevent accidents with skid steer loaders, read and follow directions in the equipment operator’s manual. Pay attention to safety instructions in the manual and to warning labels you see on the equipment. If you have questions, stop and ask your supervisor before you continue. 2. Concentrate on working safely. Sometimes you may be tempted to take risky shortcuts. Remember that an accident can leave you permanently injured or cut your life short. For your safety and the safety of those around you, do not take unnecessary risks. No deadline is so pressing you can’t take the time to do your work safely. 3. Additional Precautions. Do not operate machinery if you are tired or have taken drugs or alcohol. If you are on medication, discuss with your doctor or pharmacist if you are capable of safely operating machinery. Neither OSHA or ANSI have released a set of skid loader specific standards or rules. Since skid loaders are able to accept forks then they do not fall under OSHA’s standards for earth moving vehicles. What are the proper ways to handle lead based paint? Lead paint is very hazardous, especially for young kids. It can cause nervous system damage, stunted growth, kidney damage, and delayed development. It is dangerous to children because it tastes sweet, and can encourage children to put these lead based paint chips and toys in their mouths. Lead paint can also be dangerous to adults, and can cause reproductive problems in men and women. Lead is considered to be a carcinogen, high levels may result in death. The EPA signed a new regulation called Renovation, Repair and Painting (RRP) regarding the renovation of residential housing and child-occupied buildings built before 1978. The rule became effective April 22, 2010. Under the rule, contractors performing renovation, repair and/or painting projects that disturb lead based coatings in child-occupied facilities built before 1978 must be certified and must follow specific work practices to prevent lead contamination. If you have lead-based paint, you have several options for removal. Although some states allow you to do the work yourself, a contractor who is certified in lead paint removal is trained to do the job safely and will determine the best abatement strategy. Here are some options you can discuss with your contractor. First we have encapsulation, which is typically the least complicated and most affordable method. Encapsulation involves brushing or rolling on a specially made paint coating. Doing so creates a watertight bond and seals in the lead based paint. 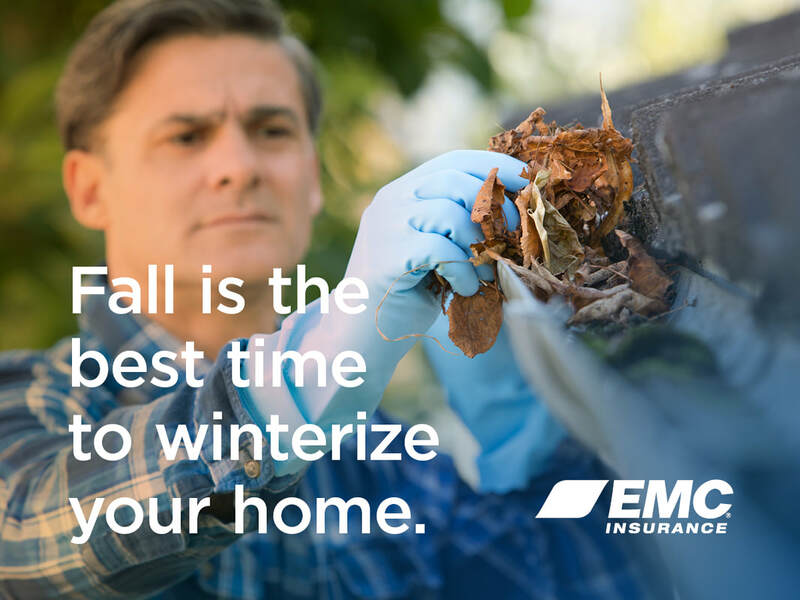 However, opening and closing your doors and windows eventually may wear off the coating. Is the welfare of your body important to you? If so you need to be aware and use proper techniques when lifting heavy objects. Almost every jobsite today will have work done by carrying objects from one point to another. Bureau of Labor Statistics (BLS) has stated that overexertion was the nation’s leading event or exposure leading to an injury or illness in the workplace, also BLS has stated that the back was the leading body part affected. Although no strategy has completely eliminated back injuries, a significant percentage could be minimized by incorporating a training program along with an ergonomics analysis. There are many possible solutions according to www.OSHA.gov that can be used to prevent someone from having these types of injuries occur to their body while in certain situations including awkward positions, holding materials for a long period of time, and outside conditions. Locate materials in a central area where machine-driven lifts such as forklifts, pallet jacks, and trucks can be used. Try to transport smaller products to the site where you limit weight you lift to no more than 50 pounds, but in the case where lifting loads heavier than 50 pounds, use two or more people to help lift the load. When lifting these are some steps to follow according to grainger.com. 2. Squat down, bending at the knees (not your waist). Tuck your chin while keeping your back as vertical as possible. 5. Once the lift is complete, keep the object as close to the body as possible. If the load’s center of gravity moves away from your body, there is a dramatic increase in stress to the lumbar region of the back. How do I properly store compressed gas cylinders? Cylinders should be stored in clearly identified locations, as well as in dry, well ventilated areas that aren’t exposed to heat or the sun. These areas should be out of the way of doorways, aisles, elevators, and stairs. There should be “NO SMOKING” signs in the areas. Cylinders should always be stored upright, no matter if they are full or empty, and they should be secured with a chain or non-conductive belt. The protective caps should always be on when in storage and the valves should always be closed. Oxygen and Fuel gas cylinders should be stored separately and should have a wall or barrier that has a minimum of a half-hour fire rating. Cylinders should never be used as an electrical ground connection. Cylinders shouldn’t be fastened to a work table as they could become part of an electrical circuit. Do not strike an arc on a cylinder. Never use flames or boiling water to thaw a frozen valve, warm water is acceptable. Cylinders should never be placed or stored in unventilated enclosures such as lockers or cupboards. Cylinders should never be used as rollers or supports for anything. Never tamper with the safety devices. Cylinders should only be used to contain gas that the cylinder was designed to hold. Acetylene cylinders can never be in a horizontal position. Never accept a cylinder that is not properly labeled or marked. Do not angle the cylinder and roll to move them. Do not lift a cylinder by the valve cap, nor use rope or chains or lift with electromagnets. Never drag, slide, or drop a cylinder as it could become a missile. A cylinder should never strike another cylinder violently. Never try to refill a cylinder or try to mix gases in the cylinder. What do I do with empty or unusable cylinders? The cylinders should be marked empty or unusable. Return empty cylinders to the supplier. When a cylinder is not in use the regulators should be removed and the protective cap should be put on the cylinder. Keep cylinders and fittings from becoming contaminated with oil, grease or dust. A cylinder should always be labeled, and if it is not properly labeled, the cylinder should never be used. How do I properly move the cylinders? Always close cylinder valves. Remove regulators and always tighten the cap on the cylinder before moving. When moving a cylinder, always use a trolley and the cylinder should be chained to the trolley before moving the trolley. If there is a leaky cylinder, call the supplier immediately and have them remove the cylinder. When cylinders are being transported by vehicle, they should be secured in an upright position. When do I “crack” the cylinder? Before attaching the regulator, clean the valve with a clean cloth. “Cracking” a cylinder refers to opening the valve slightly and closing it quickly to blow out dust or dirt from the valve outlet. Always use two hands when doing this and always stand to the side of the valve. Never stand over, in front, or behind the valve outlet. Never “crack” Fuel gas cylinders as it could ignite from friction, heating, or other ignition sources. Never “crack” hydrogen cylinders since the release of compressed hydrogen may ignite by itself. Asbestos is a group of naturally occurring minerals that are resistant to heat and corrosion. It contains the minerals chrysotile, amosite, crocidolite, tremolite, anthophyllite, and actinolite. Some of the main uses for this mineral is in insulation for pipes, floor tiles and other building materials that need to be fire resistant. Some of these materials are roofing and siding shingles, vinyl floor tiles, plaster, cement, putties, caulk, ceiling tiles and spray-on coatings. Asbestos is a well-known health hazard and its use is highly regulated by both OSHA and the EPA. The most likely exposure is in the construction industry or in shipyards. This mineral is especially dangerous because the fibers associated with the health risks cannot be seen with the naked eye. Breathing asbestos can cause a buildup of scar tissue in the lungs that can then causes a loss of lung function that can progress to disability and even death. The most commonly used form of asbestos, chrysotile, has been known to cause mesothelioma. Mesothelioma is a cancer in which a fatal malignant tumor or the membrane lining the cavity of the lung or stomach (Safety and Health Topics https://www.osha.gov/SLTC/asbestos). In July of 1989 the EPA banned the use of asbestos in all common building products and then they revised it in 1991. After the revision the following materials are still banned: flooring felt, rollboard, and corrugated, commercial or specialty paper. Along with banning these products it also banned the use of asbestos in products that were not typically known as containing asbestos. Regulations under the Clean Air Act specify work practices for asbestos to be followed during demolitions and renovations of all structures, installations, and buildings. These regulations however exclude residential buildings that have four or fewer dwelling units. The regulations require the owner of the building to notify the appropriate agency before any demolition, or before any renovations of buildings that may contain asbestos in any way. In order to remove asbestos you must be an asbestos professional. In order to be an asbestos professional you must go through a training program that is at least as stringent as the EPA Model Accreditation Plan. For example if you are a homeowner and you notice a hole in your wall you should first seal off the room. You should then notify an asbestos removal firm. The room should remain sealed until the consultant arrives and figures the best way to attack the program. You should avoid trying to remove the problem yourself without any kind of protection. After the asbestos is removed you need to make sure that the asbestos waste is properly disposed of. You are only allowed to remove asbestos if it is in a residential building with less than four dwelling units and you are the owner, otherwise it is a good decision to hire a professional firm that will remove the asbestos and take care of all of the waste. Grain elevators are made to handle large volumes of grain. The buildup of grain dust in the handling process is unavoidable. There have been over 500 grain dust explosions in the last 35 years in the United States. They have killed more than 180 and injured more than 675 people. There are four elements required for a grain dust explosion are the presence of dust, confinement and enclosure, oxygen, and an ignition source. Most of the time in a grain elevator, the first three of those are present. The grain dust comes from particles falling off of wheat, oats, barley, or other grains. It is confined because the silo walls trap it. Oxygen is always present in these structures. The last thing needed to cause the explosion is an ignition source. The ignition sources could be caused by static electricity. This becomes possible when the humidity becomes low. Dry environments cause static electricity to accumulate. Cutting, welding, brazing, and overheated motors are also common sources of ignition (Grain Handling https://www.osha.gov/SLTC/grainhandling/index.html). Other ignition sources could be mechanical friction caused by faulty moving parts. For example if you have a conveyor belt with bad bearings the friction in the bearing produces heat. It can be enough heat to cause a fire. That then becomes the ignition source. Keep in mind all moving parts or machines in the grain elevator have potential to malfunction. 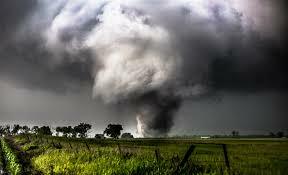 In large facilities the shockwave from a grain dust explosion can stir up dust in connected silos and combust also causing multiple explosions. This is called a secondary explosion. From past accidents we have learned how to prevent these explosions. The grain elevator industry has been very productive in not eliminating the potential explosions but limiting them. They have found the causes of the accidents and then applied solutions. Here are some of the solutions that have been discovered. If you put heat sensors on bearings and moving parts the workers will be warned of the hazard and the part can be fixed before it causes enough heat to ignite the grain dust. They have found it is best to monitor potential hazards before they ignite the dust. The technology used in modern elevators is so advanced that a computer system can shut down a machine if it is causing too much heat. Another solution they have found is preventative cleaning. Most grain elevators will shut down and clean when the grain dust becomes a potential hazard for an explosion. There has been a chemical developed that is applied to an explosion and immediately suppresses the explosion. The chemical is released into the elevator immediately when a sensor detects the hazard of an explosion. The sensor is measuring the pressure in the silo and when the pressure changes to a measurement that is typical with an explosion the chemical is shot in. (Westwego Grain Elevator Disaster https://www.youtube.com/watch?v=fcc6a0zmJ48) When grain elevators are built today they are spread out instead of building all the silos close to each other. The reason for this is to prevent secondary explosions. You will also not find the offices connected to the silos. “Safety Pays. Falls Cost” is the motto for the 2016 National Safety Stand-Down to Prevent Falls in Construction. http://stopconstructionfalls.com/ The National Safety Stand-Down is a collaboration between OSHA, NIOSH, DOL, National Safety Council, many other governmental agencies, Industry partners, and Associations to bring attention to resources to assist in Fall Prevention measures.